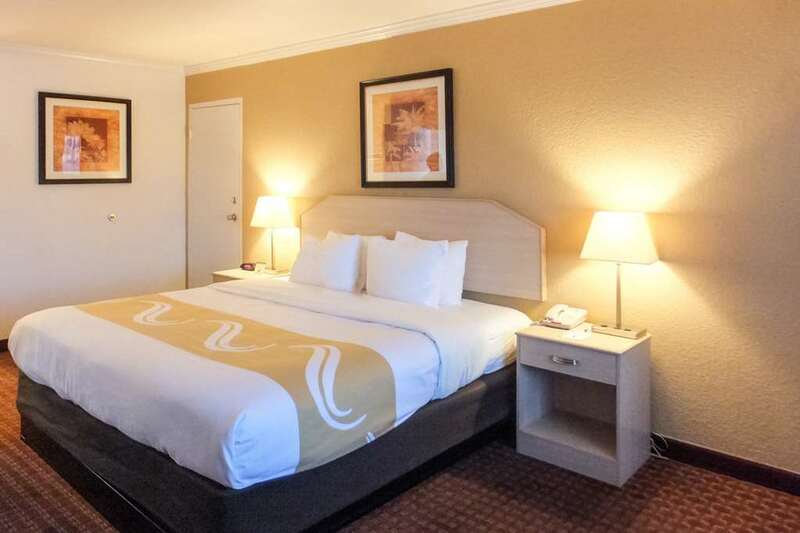 Get more for your money at the Quality Inn and Suites hotel in Lake Havasu City, AZ. We are located off Highway 95 near the London Bridge, Lake Havasu State Park, Lake Havasu Museum of History, Rotary Park, Cattail Cove State Park and Lake Havasu City Visitor Center. Take advantage of amenities like free deluxe continental breakfast, a free daily newspaper, free WiFi, free parking, coffee services, guest laundry facilities and outdoor heated pool with sundeck. We also feature a 250-person meeting room and a business center. Guest rooms include a coffee maker, hair dryer, iron and ironing board. Also, earn rewards including free nights and gift cards with our Choice Privileges Rewards program.